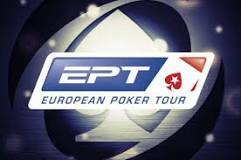 In fact, the Poker Tournament being held in Malta began Tuesday, 20th and is set to end on Saturday, 31st this month. Malta is a fascinating archipelago within the Mediterranean Sea, and the poker tournament just adds to the inflow of visitors into the island this season. Of course, it is not the first time Malta is hosting a poker competition of this magnitude, and the surrounding areas like Sicily in Italy are bound to benefit economically from this tournament. This repeat hosting of the tournament by Malta goes to show that besides players and fans of poker loving the venue, the state laws are also appealing. It means that Malta is a place where betting enthusiasts can engage in poker without worrying about breaking any state poker law or other related poker law. For yet another time, Malta is working closely with the Italian Poker Tour to ensure effective promotion of the event, successful hosting, and generally great experience for the poker fraternity. The specific town hosting the tournament is St. Julian’s, which is popularly known for its vibrant nightlife, actually beating even Malta’s official capital, Valletta. So, after enjoying Malta’s beautiful greenery in the day, poker players and fans can take time off to relax in St. Julian’s’ many clubs, some of which may have facilities for online poker and other gambling activities. There is also no shortage of restaurants as well as cafes in the town and that makes the place great for hosting a big function intended to attract throngs of poker lovers. There are a good number of bars too. What Makes This Year’s Venue Suitable? First of all, the venue happens to be the Portomaso Casino – all modern and elegant. Nobody in the poker fraternity can doubt the suitability of this casino considering it is one of the renowned places in the world and has been known to successfully host events of equal magnitude before. Another factor that puts the Portomaso ahead of others in suitability is its proximity to the Hilton, Malta; the place considered the official EPT hotel. Who Is Welcome At The Portomaso For The Poker Tournament? Gladly, there are no state laws restricting entry into Malta, and as for the poker tournament itself, any visitor who has attained the maturity age of 18yrs is welcome. When it comes to locals – the Maltese – the law of the land allows them entry into such venues when they have attained the age of 25yrs. Any person trying to gain entry into the Portomaso for the poker tournament is required to show valid identity first. And as for the dress code, it is liberally casual as sportswear is also acceptable. The Portomaso Casino is providing currency exchange services at rates issued by the Forex Exchange Bureau. As such, participants in the poker tournament need not worry about buying Euros, Malta’s official currency, beforehand. The currencies well catered for in this regard include the Australian dollar; the Canadian dollar; the US dollar; the British pound; the Danish Krone; the Swiss Franc; the Japanese yen; the Israeli New Shequel; the Norwegian Krone; and the Swedish Krona. And as a mark of further friendliness within the poker fraternity, if there is need for a patron to receive a cash refund at the casino, it is possible to get it in the original currency and at the same rate initially used. Of course, this is possible if the refund is being made within a period before banking is done. Understandably, the recipient of the cash, whether a poker player or poker fan, will need to show the original receipt.